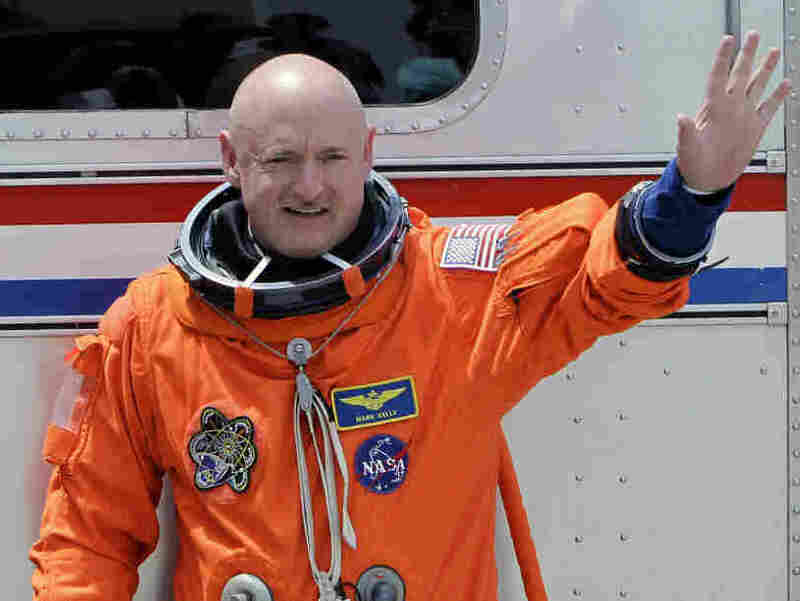 Astronaut Mark Kelly, Rep. Giffords' Husband, Retires From Navy And NASA : The Two-Way "After some time off, I will look at new opportunities and am hopeful that one day I will again serve our country," he says in a statement. Giffords continues to recover from a gunshot wound she suffered on Jan. 8. Astronaut Mark Kelly on April 29, 2011. "Today, I am humbled to announce that after 25 years of service to our country, I am retiring from the United States Navy and leaving NASA, effective Oct. 1," Navy Capt. Mark Kelly just wrote on his Facebook page. "As life takes unexpected turns we frequently come to a crossroads. I am at this point today. Gabrielle is working hard every day on her mission of recovery. I want to be by her side. Stepping aside from my work in the Navy and at NASA will allow me to be with her and with my two daughters. I love them all very much and there is no doubt that we will move forward together. After some time off, I will look at new opportunities and am hopeful that one day I will again serve our country." Giffords continues to recover from a gunshot wound to the head she suffered on Jan. 8, when a gunman attacked an event she was holding in Tucson, Ariz. Six people were killed and another 13, including Giffords, were wounded. She is being treated at a Houston rehabilitation center, but over the weekend did visit her home in Tucson. Giffords' aides have said she continues to improve, but is not close yet to deciding whether she will either seek re-election to the House in 2012 or mount a bid for the seat of retiring Sen. Jon Kyl (R-AZ). Kelly, whose twin brother is also an astronaut, commanded the recent last mission of the space shuttle Endeavour. With the scheduled July 8 launch of Atlantis, the shuttle program is set to end.